The artist depicts the scene described in the Acts of the Apostles of the awesome power of the Holy Spirit given as a gift from God to the Apostles. 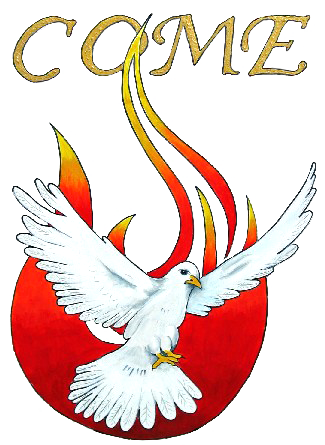 Today we to receive the awesome gift of the Holy Spirit through the Sacraments of Baptism (CCC 1226) and Confirmation (CCC 1287-1289). That gift from God changes us, like it changed the Apostles, because the Holy Spirit — the Third Person of the Holy Trinity — now lives within us. But there is more to our being temples of the Holy Spirit. 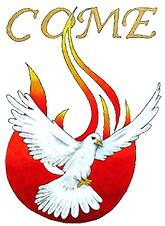 For one thing, “We are the temple of the living God” [1 Corinthians 6: 16]; that is to say, the Holy Spirit resides within the community of the baptized. There is both a communal and a personal aspect to this presence within the community: “The Spirit dwells in the Church and in the hearts of the faithful as in a temple” [Constitution on the Church, 4]. The Church is a temple of the Holy Spirit, and each member of the Church is a temple of the Holy Spirit. We speak in a special way of “the Mother of the Son of God [as] the temple of the Holy Spirit” [Constitution on the Church, 53] because she carried God within her womb. This is the model for us to follow: carrying Christ within our hearts so that we can share him with others.